The logo of the Royal Orchard created through reinterpretation of the design motivated from the golden crown of Shilla period. In the middle of the crown, there is a jewel ornament symbolizing a tree to have a sense of a garden of Royal Family.Moreover, the image of jewel ornament looking like hugging people is the slogan of Royal Orchard as well as our core keyword meaning a communication through a cup of tea. "Marriage of Oriental and Western Herbs and Teas" Teas are blended for optimal balance between oriental and western herbs and teas not harming their own characters. Moreover, each tea has its own taste and health benefits with aroma and colour therapy. 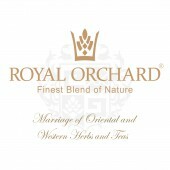 Royal Orchard focuses on creation of good quality teas for fulfilling customers' needs of taste, healthy function and design altogether. First of all, types of tea cases vary for different purposes such as Royal Orchard’s products are appropriate for special gift for national holidays since it's possible to give a sampler for black tea beginners and hard wooden case for tea lovers. 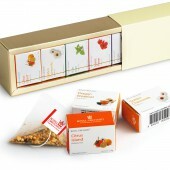 Moreover, with modern and nice design of packages also make our product to be suitable for almost all purposes. It has been developed since Feb, 2012 in Korea and be in continuous research and development process. Through various combination of case(44mmx32mmx22mm)containing one tea sachet, it’s possible to make various type of combinations. All materials used for the package are harmless to human body and each case is sealed by plastic for better restoration of taste and also for sanitary function. As our slogan highlights "marriage" we love to develop good combination between various things. Our logo reflects the philosophy as different interpretations could exist with the logo such as golden crown of Shilla dynasty or a tree. Our research has been always focused on finding harmony, in terms of taste; it's hard to find what could be the optimal balance between different teas and herbs from various countries. 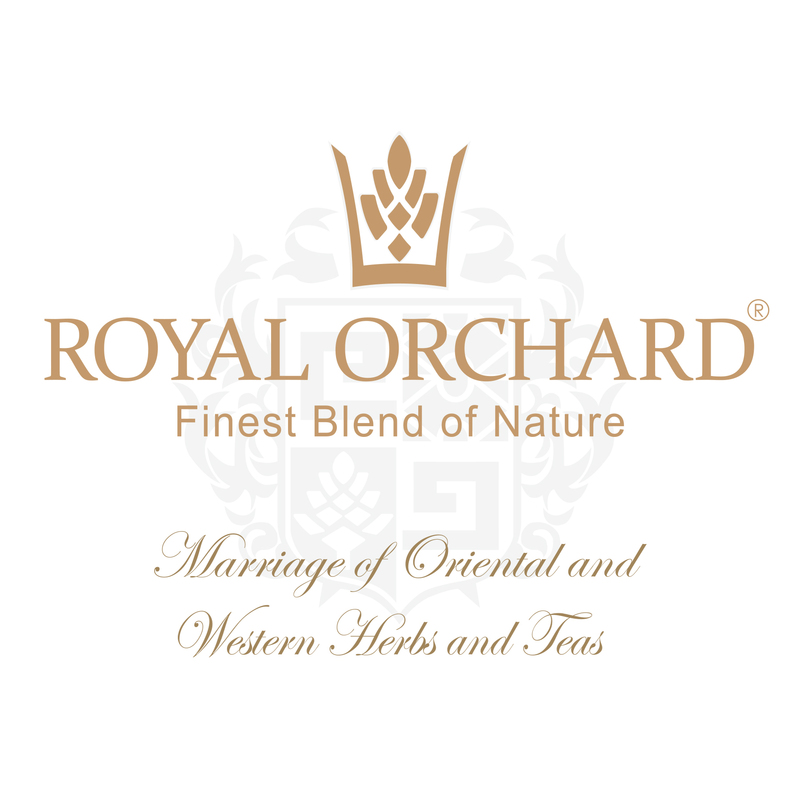 In addition, sometimes one herb's medical feature hinders other herbs' to work, with deep contemplation of all matters, repeated research made us possible to develop the Royal Orchard. As mentioned above, finding the most optimal harmony between ingredients and at the same time making story tellings for each tea were the biggest challenge. To overcome the challenge, a number of tasting and consideration have been repeated over and over again. It's important to understand better of all the ingredients and then it was possible to get an intuitive image of blends and stories. Hisu Jeong, Albert Kim and Jiin Kim, 2016. 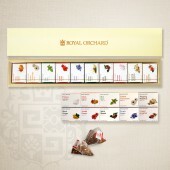 Royal Orchard Tea Package by Hisu Jeong, Albert Kim and Jiin Kim is a Nominee in Packaging Design Category. · Click here to register today inorder to be able to view the profile and other works by Hisu Jeong, Albert Kim and Jiin Kim when results are announced. Royal Orchard Tea Package by Hisu Jeong, Albert Kim and Jiin Kim is Winner in Packaging Design Category, 2016 - 2017. · Read the interview with designer Hisu Jeong, Albert Kim and Jiin Kim for design Royal Orchard here. · Press Members: Login or Register to request an exclusive interview with Hisu Jeong, Albert Kim and Jiin Kim. · Click here to register inorder to view the profile and other works by Hisu Jeong, Albert Kim and Jiin Kim. Did you like Hisu Jeong, Albert Kim and Jiin Kim's Packaging Design? 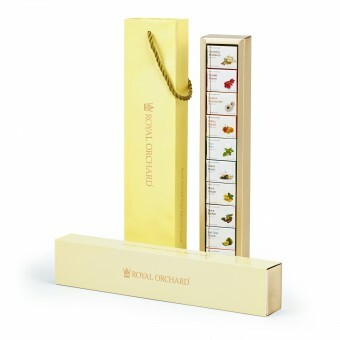 Did you like Royal Orchard Tea Package? Help us create a global awareness for good packaging design worldwide. Show your support for Hisu Jeong, Albert Kim and Jiin Kim, the creator of great packaging design by gifting them a nomination ticket so that we could promote more of their great packaging designs.